SAN FRANCISCO, February 10, 2016 – ascribe GmbH has announced the release of BigchainDB, a scalable blockchain database that can process one million writes per second and their first licensed user, Everledger. BigchainDB achieves one million writes per second with sub-second latency and petabytes of capacity in a federated blockchain database. BigchainDB allows developers and enterprises to deploy blockchain applications and platforms at scale, formerly a limiting factor in getting sandbox proof-of-concepts into production systems. The throughput capacity of BigchainDB exceeds PayPal by 10,000 times, Visa by 20 times and the peak volume of Nasdaq by 10 times. “The breakthrough was achieved by imbuing the best characteristics of blockchains, immutability and decentralization onto an existing big data distributed database,” said Trent McConaghy, CTO and project lead. “In conversations with the community, the emphasis seemed to be on scaling up blockchains. We came to realize that a distributed database perspective brought a lot to the table, not only for scalability but also for other key database functionality like a flexible query language, efficient querying, and a permissioning system. Our approach was to “blockchain-ify” a scalable distributed database.” BigchainDB is complementary to decentralized processing platforms like Ethereum and file systems like IPFS and fills a clear gap in the decentralized blockchain stack. The announcement was made in conjunction with CEO Bruce Pon’s presentation at The BlockChain Conference in San Francisco. Everledger, an immutable ledger for diamond identification and transaction verification, has been named as the first BigchainDB customer. Working to combat fraud and provide provenance in the $80 billion diamond industry, Everledger has built early success with its technology solution embedding one million diamonds on their platform in 2015. To date, Everledger has uploaded one million diamond records onto BigchainDB and extended benchmark testing on large data sets resulted in five to seven percent of discoverable fraud with its algorithms. With these results, Everledger moves towards scalable outcomes and commented that they will move from their ‘beta’ platform to full industry release over the coming months. Everledger will also continue to work with Eris and Ethereum. BigchainDB is designed for use cases requiring high-throughput, lower latency and more storage capacity such as streamlining clearing and settlements in the financial sector, tracking supply chains such as the tracking of diamonds, spare parts or consumer goods, or tracking records of provenance for physical or digital assets. “Blockchains are going to disrupt enterprises the way that the Internet disrupted global media,” said Pon. “To stay ahead of the curve, hundreds of blockchain experiments are being run by leading enterprises and they’ll all need a secure, scalable blockchain database in production. The company is currently in talks with several large enterprises to deploy BigchainDB and working with cloud and blockchain platform providers to integrate BigchainDB into their offering. 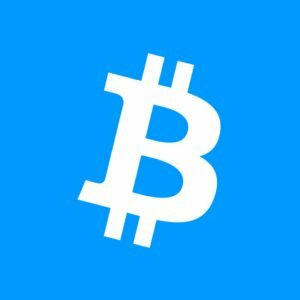 ascribe has also released a first draft of an extensive technical whitepaper, “BigchainDB: A Scalable Blockchain Database.” The living document will incorporate community feedback and can be accessed at www.BigchainDB.com. Founded in 2014, ascribe is a service for creators to register and track intellectual property. By registering work with ascribe, a unique, cryptographic ID is generated and then stored on the blockchain, creating a permanent and unbreakable link between the creator and their work. Creators lock in authorship, can create limited digital editions, securely share and trace where work spreads online. ascribe has been featured in dozens of publications and to date over 4,000 creators have declared 7,000 works and over 30,000 unique editions within the system. Started in 2015 by the ascribe team, BigchainDB was a direct result of seeing scalability as a fundamental barrier to wider adoption of blockchain. 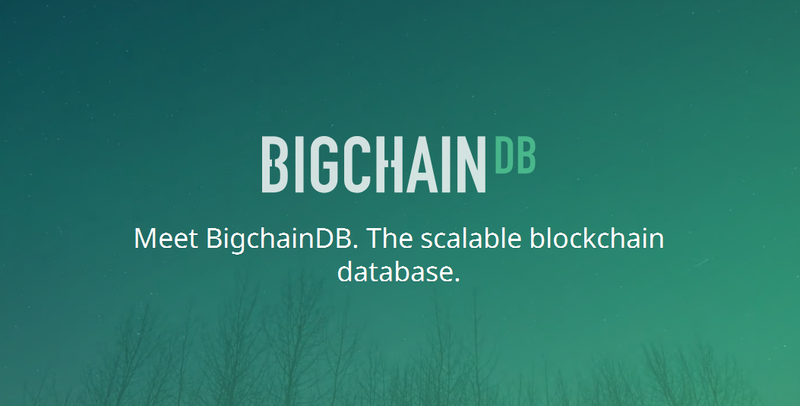 BigchainDB is a decentralized, federated and customizable blockchain database capable of one million writes per second, petabytes of capacity, rich querying and permissioning. Everledger provides an immutable ledger for diamond identification and transaction verification for various stakeholders, from banks, insurance companies to claimants and law enforcement agencies. Everledger offers new methods of financing and insuring diamonds, as well as combatting fraud. Everledger has over one million certified diamonds, smart contracts for the transfer of ownership and bank grade APIs for high volume transactions. Featured in the Financial Times, BBC Newsnight, Everledger has been listed in the top 25 most exciting Bitcoin startups globally, winning 2015 BBVA Open Talent, a Meffy award and FF16 in Hong Kong.